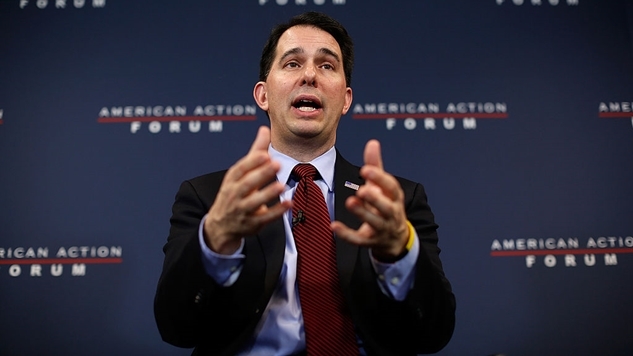 A Wisconsin judge Thursday ordered Gov. Scott Walker to call special elections to fill a pair of legislative seats vacated by fellow Republicans, handing a victory to Democrats who have pushed for the elections to be held. A national Democratic group led by former U.S. Attorney General Eric Holder filed the lawsuit on behalf of voters who argued they were disenfranchised by Walker’s decision not to call elections to fill the vacancies that occurred on Dec. 29. Walker asserted that he was under no legal requirement to call an election, and that this was simply a partisan witch hunt by the former Obama official. Wisconsin law states that elections must be called if they occur before the second Tuesday in May during an election year. Walker contended that only applies to openings which occur at the beginning of the year, and since these seats were vacated just before the new year, he was not required to act. The court clearly believed otherwise, as Dane County Circuit Judge Josann Reynolds ordered Walker to call for special elections by March 29th. This is another victory for democracy against a party who wholly opposes it.